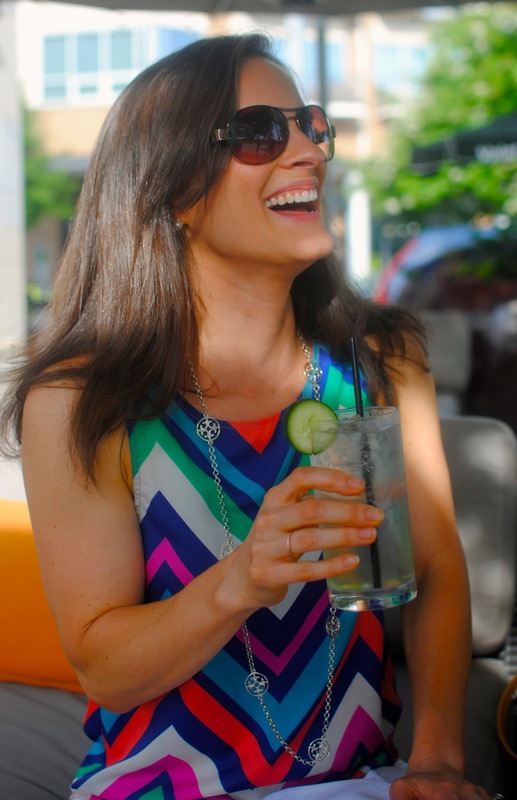 In honor of Friday, it's time for another edition of Jackie does cocktails! Unfortunately this time it's without Kristen because sniff, sniff she moved! Don't feel too bad for her, she moved back to her beautiful hometown of Charleston, South Carolina. So I'll be working to perfect my own photography skills and just pining away for Kristen's amazing talent and friendship. But now we have an excuse to visit Charleston more often! 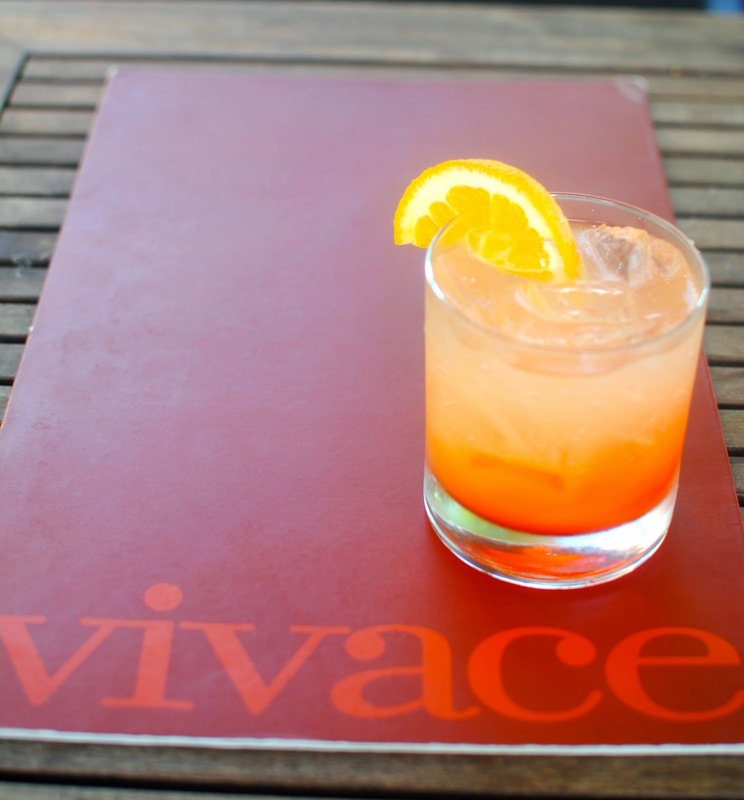 Last night I went to one of my favorite spots for al fresco dining, Vivace which is in the Metropolitan shopping center close to Uptown Charlotte. 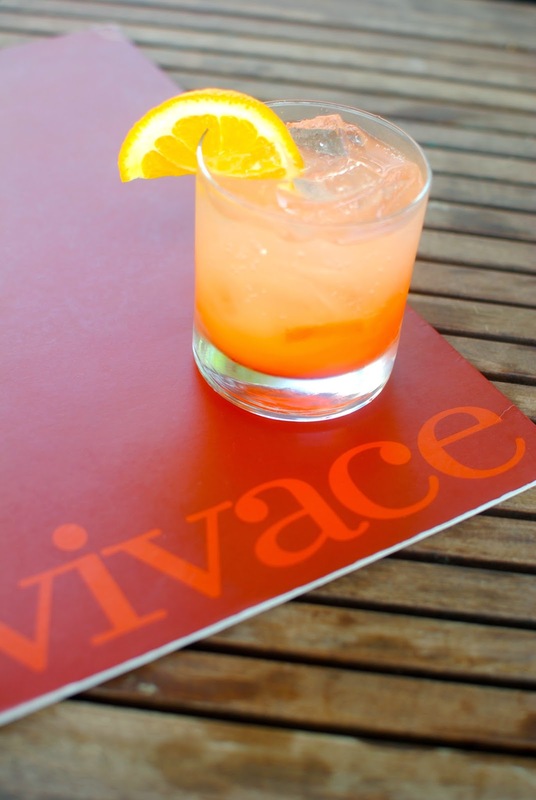 Vivace has delicious Italian food including yummy bar bites and amazing flatbreads and of course, an extensive cocktail and wine list. If you're familiar with limencello (and you should be), Vivace makes their own "cellos" in the flavors of lemon, orange and strawberry. I of course had to try the strawberry mojito made with the strawberry-cello. It was delicious and not too sweet. It was absolutely delicious and beautiful to boot! Very refreshing. I'm sorry for the onslaught of photos of this Aperol Sprtiz but I couldn't stop taking photos of it...I can see how this photography thing could get addicting! 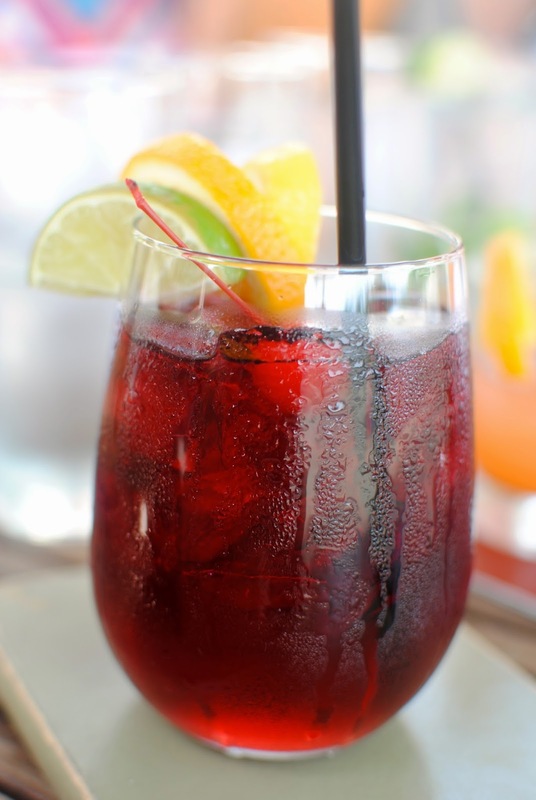 A few of my friends also enjoyed some sangria which is a perfect summer cocktail. Thank goodness for my down-to-earth, positive and intelligent girlfriends! Love our conversations. And they're not too shabby to look at either! 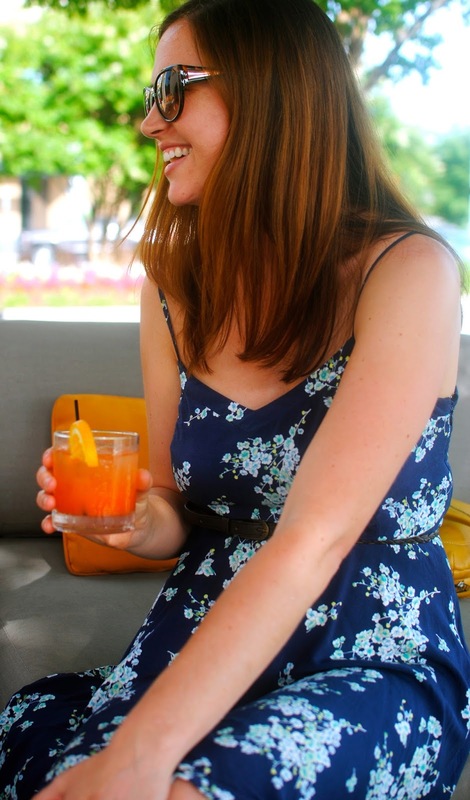 Here's Amy with her Aperol Spritz. And Liza with her interesting Japlapeno cocktail. 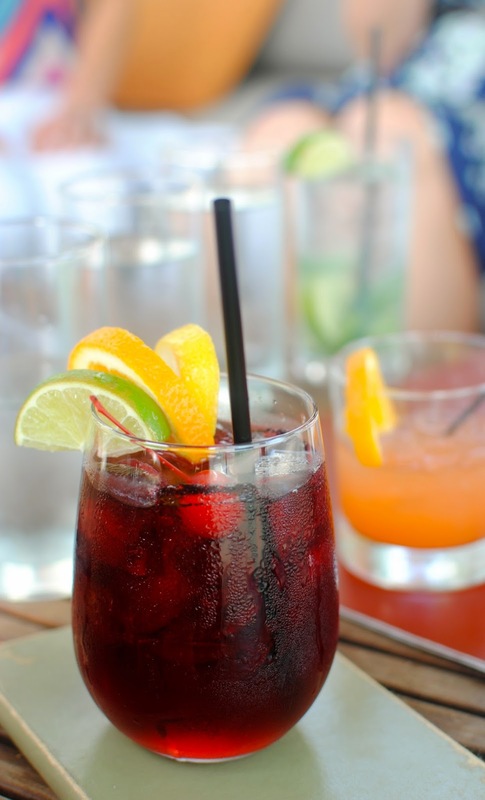 She's an adventurous eater (and drinker!). We classed it up by pairing our fancy cocktails with pizza. Sometimes you just can't beat pizza. We also enjoyed salads (bc we're healthy) and then promptly destroyed a couple bowls of pasta. Then we finished it off with dessert. Whatev, you would have done the same thing. Vivace, I love you - don't ever change. I'm going to leave you with one of the best things I've ever read. 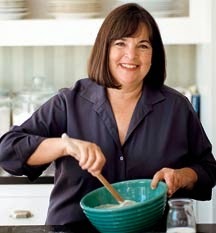 If you're a Barefoot Contessa fan (and who isn't really) you will love this article that gently pokes fun at her. Okay, gently is a lie, it's actually sort of harsh but completely 100% true. I've read it twice and laughed out loud every time. It's. So. Funny. Seriously read this for a good laugh. Then watch Barefoot and want to live her life like I do.